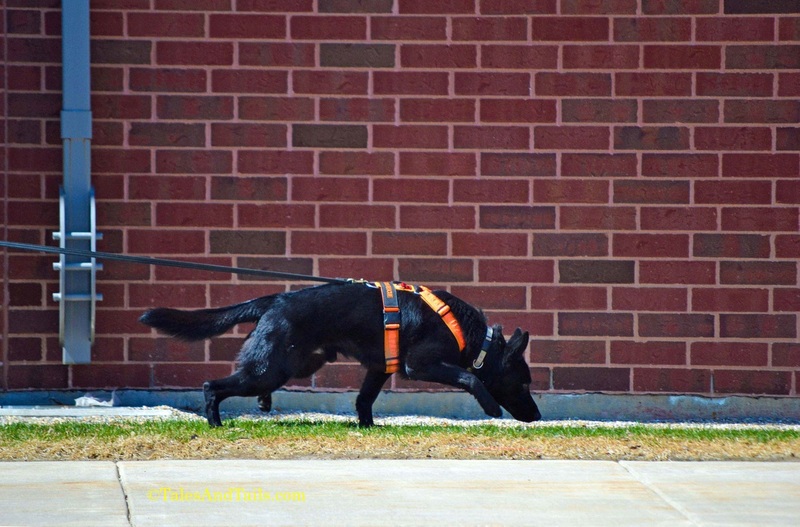 Trailing dogs are trained to follow the route of a specific person’s scent deposited on the ground as a person moves through an area. 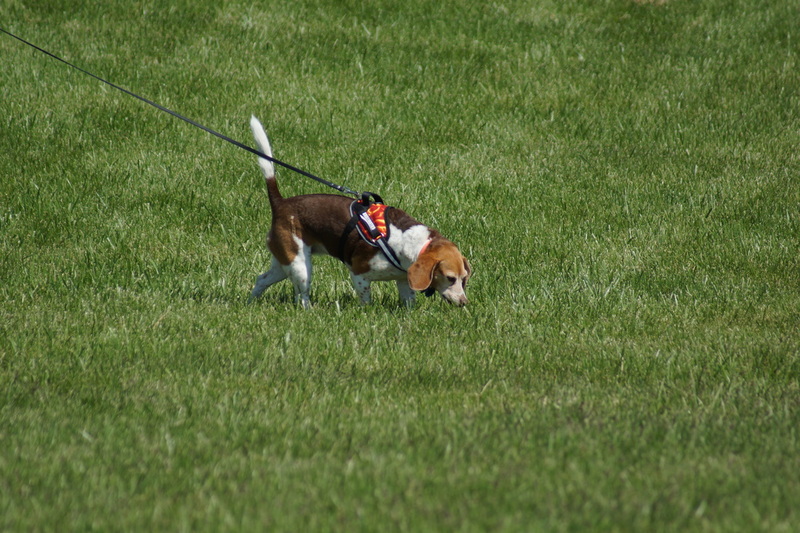 A scent article is necessary so that the dog can discriminate the scent of the missing person from that of other persons or searchers in the same area. A scent article can be anything with the subject's scent on it, but it should not be tainted with scent from someone else if possible. A scent article is usually packaged in a sealed plastic bag to keep it pure. 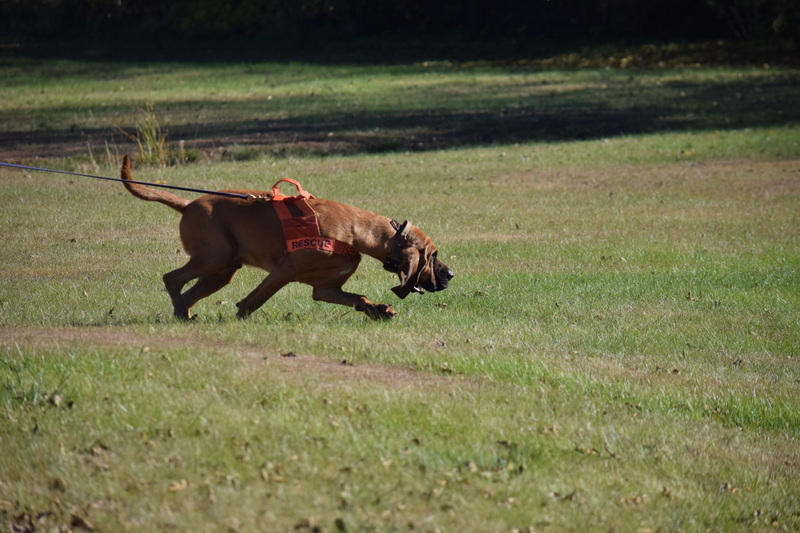 This scent article will hopefully match deposited scent in the search area that the dog will pick up and trail. Scent is affected by temperature, humidity, time, and other factors. 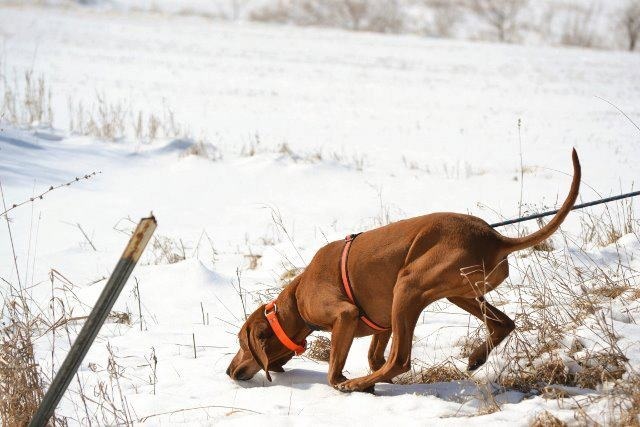 Because of this, it is very important to field a trailing dog as soon as possible.